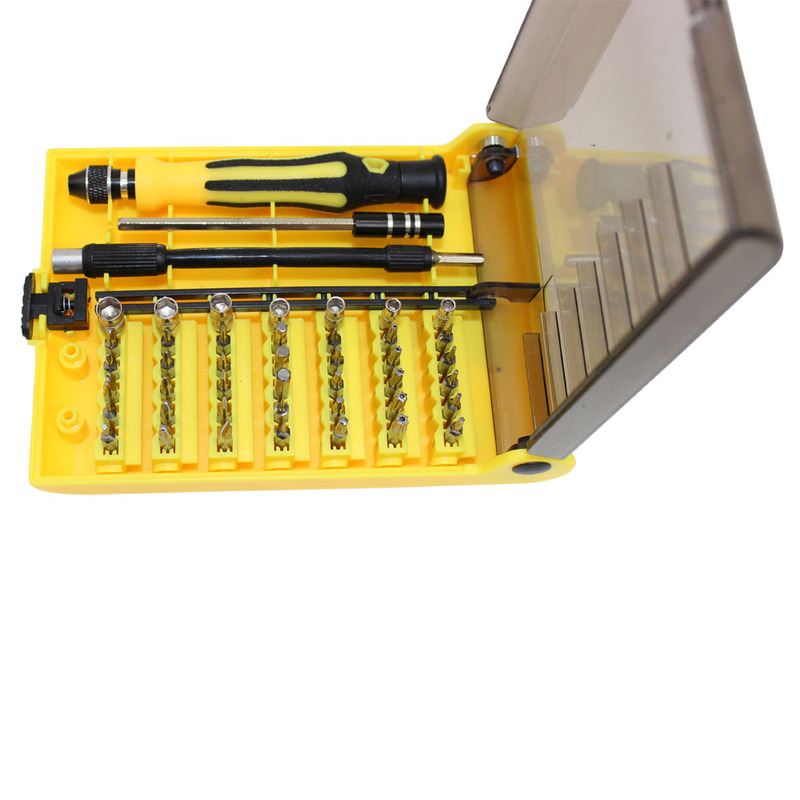 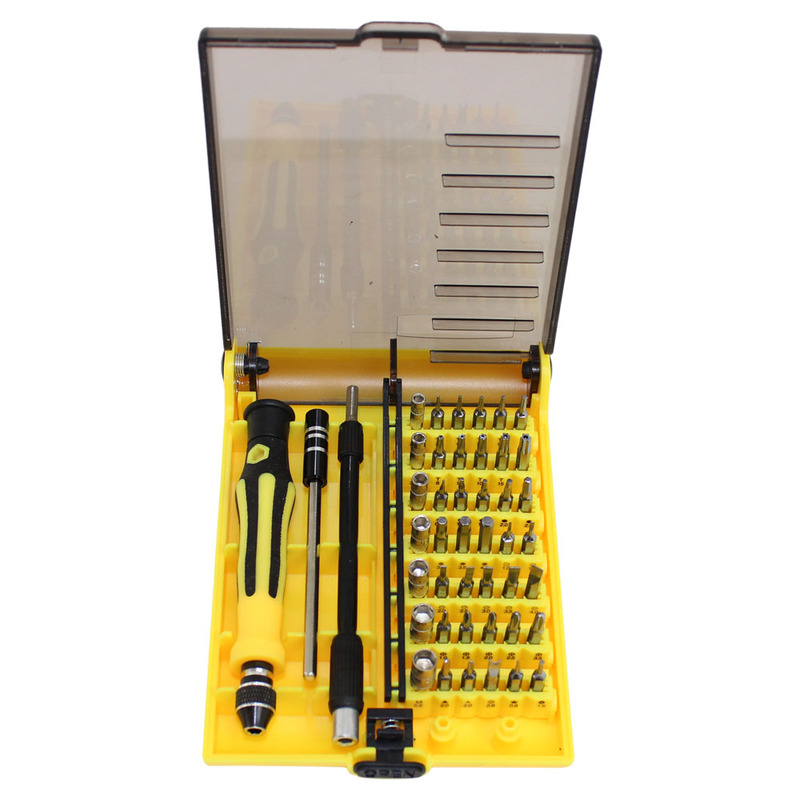 This is a fantastic 45-piece screwdriver set which is ideal for electronic hobbyists and repair technicians. 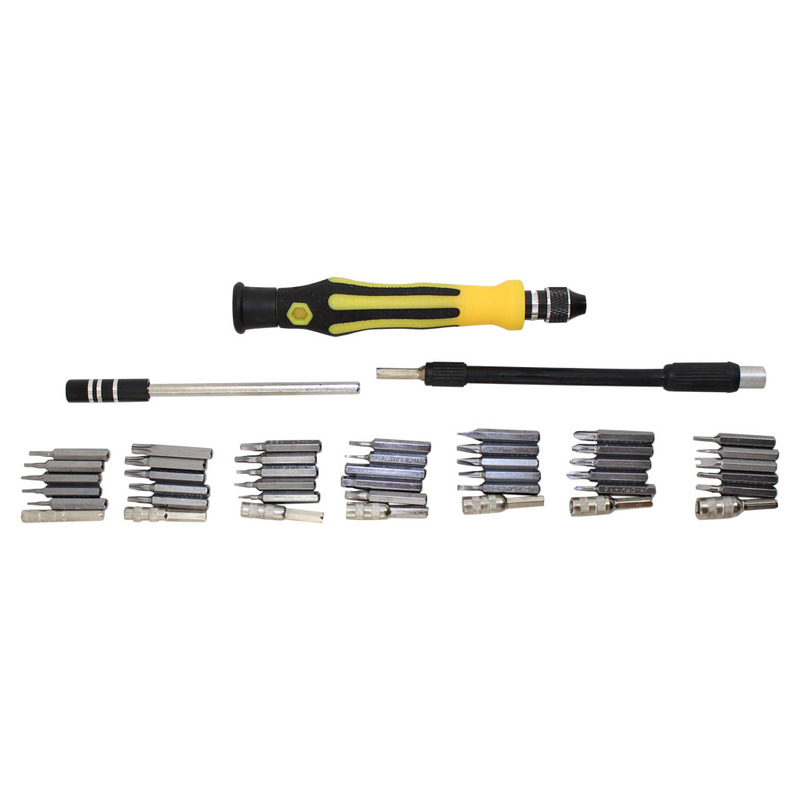 This set features an ergonomic and easy to use screwdriver handle. 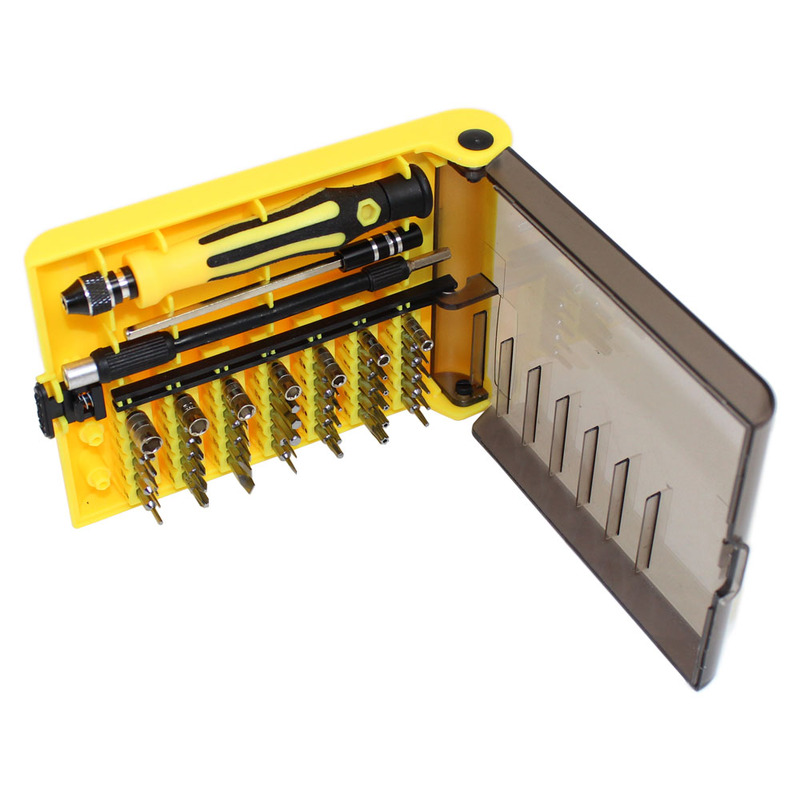 Use the 4" (approx) rigid extension or the flexible 5" extension to reach hard to get to screws. 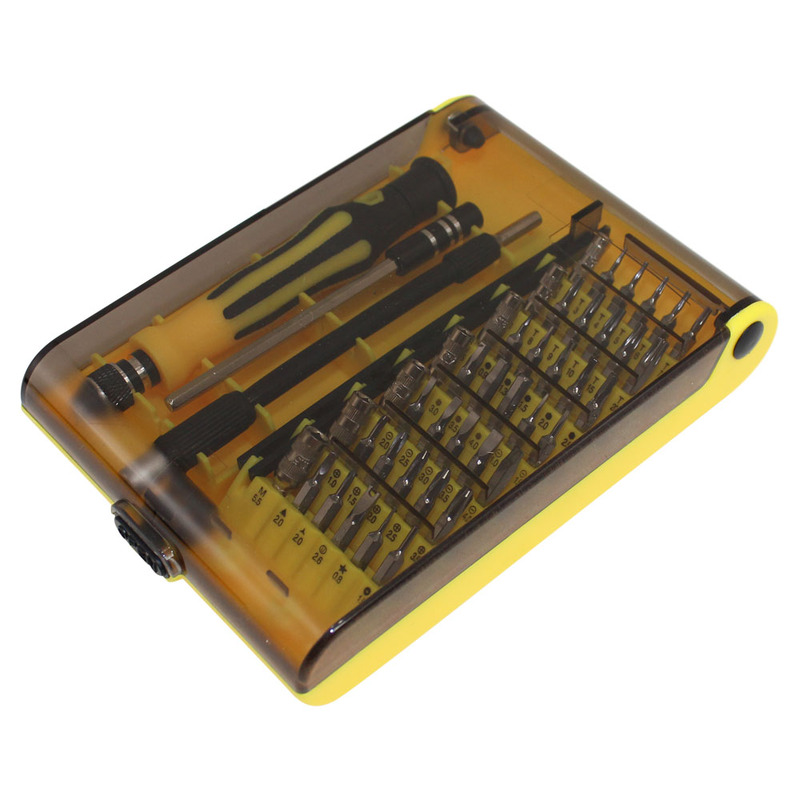 Includes TORX, slotted, Triangle, Tri-Wing and Five Star 2.0 head bits to provide the right fit for virtually any requirement.